Imagine that this is a sixteen-year-old vampire girl. Absolutely gorgeous. Absolutely evil. One night, she's feeling peckish. So she goes to the local ice cream store. Snacks on the ice cream boy. 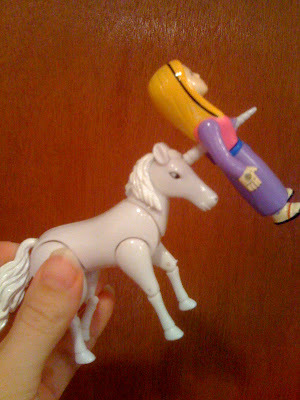 She mocks the unicorn for its sparkling shininess. When she's bored with that, she turns to go home. And the unicorn stabs her through the heart. That's where Drink, Slay, Love begins. 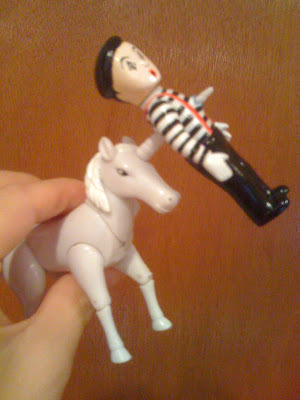 This reenactment is courtesy of the Avenging Unicorn play set, a gift from my fantastically awesome agent, Andrea Somberg. 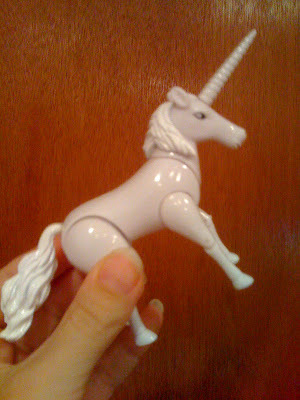 It comes with four different horns and three figures to impale, including a mime. It's entirely possible that this is the best thing anyone has ever given me. I'm thinking of bringing it to my upcoming events. On Thursday, Oct 20th, I'll be participating in the Earthsea Group Read at the Center for Fiction in NYC. A slew of writers, actors, and others will be taking turns reading A Wizard of Earthsea by Ursula K. Le Guin as part of the Big Read honoring Le Guin. It will be streamed live online. On Saturday, Oct 22nd, at noon, I will be reading and signing at Books of Wonder, a fabulous children's bookstore in NYC, with six other fabulous authors: Alison Goodman, Jeff Hirsch, Jon Skovron, Scott Westerfeld, Maryrose Wood, and Gabrielle Zevin. On the following Friday through Sunday, Oct 28th through Oct 30th, I will be at the World Fantasy Convention in San Diego, CA. Schedule TBA. The unicorn and I hope to see you soon! It is a truth universally acknowledged that vampires love music. Okay, my vampires love music. When Pearl (my vampire "heroine") hops into a stolen car at the start of Drink, Slay, Love, the first thing she does is switch the radio to "Bohemian Rhapsody." "I can drive," Jadrien offered. "I’m sixteen," Pearl said. "By human laws, I’m allowed." She flashed him a grin as he climbed into the passenger seat. 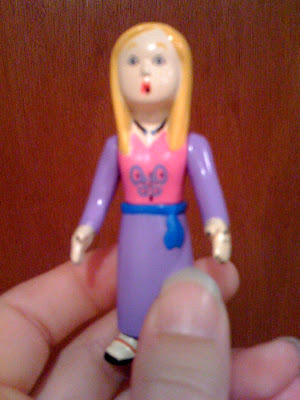 It occurred to her that she’d never driven with Jadrien in the car. He was in for a treat. She stuck the key into the ignition and turned the car on. The radio blared to life, country music. Pearl winced and flipped the station. She stopped on "Bohemian Rhapsody." Smiling, she cranked up the volume. Shifting into drive, she said, "Seat belts." "I’m immortal," he said. "Why do I need a seat belt?" Pearl floored the gas, and they whipped through the parking lot. Jadrien grabbed the door and the dashboard to brace himself. "Do you know how to drive?" he asked. "Sure," she said. "This one is the gas." Over the weekend, two lovely new trade reviews of Drink, Slay, Love appeared!! !